Stuffed portobello mushrooms have been a much-loved dish around here for a long time and this flavor filled recipe is one of our favorites. Topped with grated Cabot Sharp Lite50 Cheddar cheese and stuffed with a mixture of chopped tomatoes, chopped yellow bell peppers, whole wheat breadcrumbs, thyme, salt and pepper, this recipe is loved by vegetarians and meat lovers alike. Watch the video above to learn how to cook portobello mushrooms and then share the deliciousness with family and friends on Facebook, Pinterest, Twitter or Instagram. This recipe for portobello mushrooms makes 4 servings. Begin by preheating grill and then scrape the brown gills from mushrooms using a small spoon. Rub mushroom caps with sliced garlic and brush oil and vinegar over both sides of caps. Combine chopped tomatoes, chopped peppers, breadcrumbs, thyme, salt and pepper in a bowl and set aside. Coat grill rack with cooking spray and place mushroom caps, top-side-up, on rack. Grill for 3 minutes and turn over. Divide vegetable mixture evenly among caps and sprinkle with grated Cabot Sharp Lite50 Cheddar cheese. Grill for 3 minutes longer, or until heated through. Enjoy! If you can’t get enough fabulous recipes for stuffed portobello mushrooms, try our Pepper Jack & Spinach Stuffed Portobello Mushrooms too. 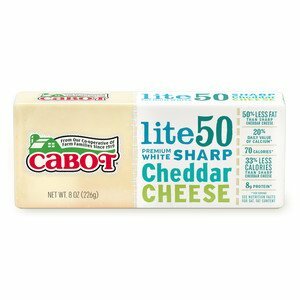 Cabot is a co-operative of over 800 farm families and we work hard to produce our award-winning dairy products. 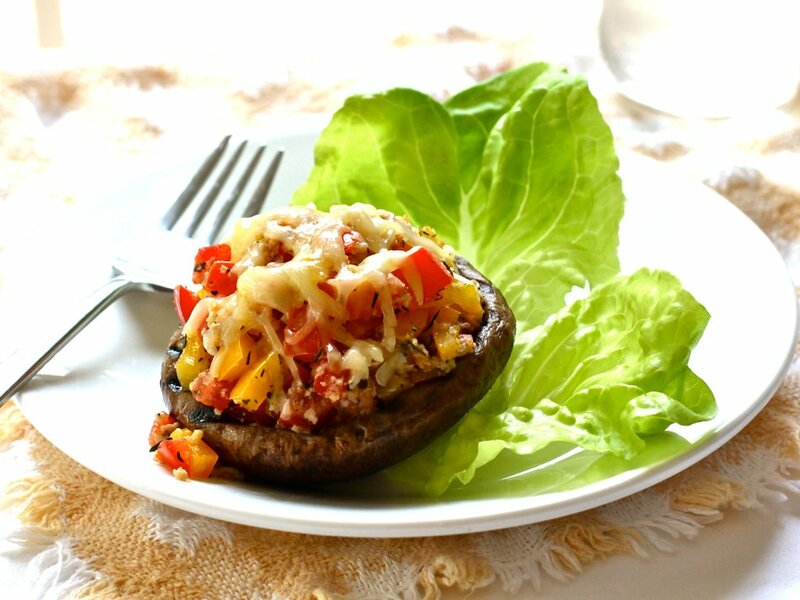 We’d love to hear your feedback on this easy stuffed portobello mushroom recipe so, if you have a chance, please rate and review it. SCRAPE brown gills from mushrooms using small spoon; rub mushroom caps with sliced garlic. Brush oil and vinegar over both sides of caps. COMBINE tomato, peppers, breadcrumbs, thyme, salt and pepper in bowl; set aside. Coat grill rack with cooking spray and place mushroom caps, top-side-up, on rack. Grill for 3 minutes and turn over. DIVIDE vegetable mixture evenly among caps and sprinkle with cheese. Grill for 3 minutes longer, or until heated through. Can these be done in the oven? This recipe will work in a 350°F oven for 10-15 minutes. Hope this is helpful.